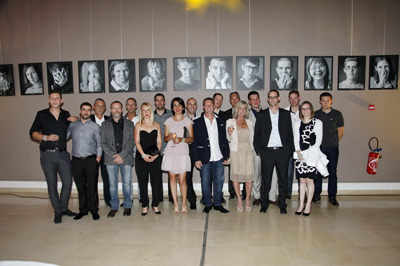 This annual ceremony, organised by the Groupement des Entrepreneurs du Pays d’Aix (GEPA), rewarded seven entrepreneurs including our own company during a dinner which welcomed 600 economic actors of the ‘pays d’Aix’ and territory elected members. I am very proud to receive this award which is based on our values and which represents our company so well. Thank you to GEPA, to its president Yves Delafon and all the organizational team for their commitment to promoting the Entrepreneur and highlighting the values which drive him or her and which is the real source in the creation of wealth and growth. And a special thank you to our clients, our suppliers and our technical partners and financial backers for their renewed confidence. Thanks to my children, my family and my friends who support me every day. Yes, it’s the women and the men which make the company and its success. At ISOLVAR we share common values – we all have the same frame of mind. Each one is committed and works in harmony, confidence, loyalty, kindness, sharing, honesty, enthusiasm and effectiveness towards a clear and defined objective. We merge our skills and experience towards a common goal. This is what creates our force and power. We are all convinced that everything is possible. Men and women are the real wealth of a company ; liberation, for all of them, comes through their mutual recognition. And it’s for us, the company leaders, to set the example, to be passionate, enthusiastic, persevering, brave, to communicate in a clear way, to trust, to be kind, to give responsibility, to motivate and to create a positive environment. This award »Sharing and Commitment » substantiates the convictions which drive us and which we will continue to apply.